It's been almost two months now that I've been living in Savannah and I've already scheduled a trip back home to Washington. I leave tomorrow and will return in a week. I depart at the godforsaken hour of 6:15am (that's a 3:15am wake up call). 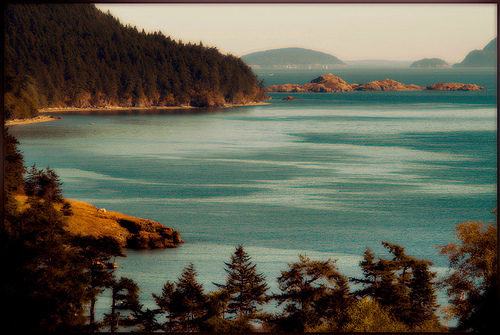 But it's oh so worth it because I'm scheduled to arrive in Seattle before noon. Then it's off to Cafe Campagne for either Oeufs en meurette or Croque-savoyard, depending on my mood. I then have seven jam packed days before me of doing everything I've missed and seeing everyone I've missed in the 8 weeks I've been away. Is there really anything better than returning home? A few weeks ago Martha had Betz White on her show demoing her teacup pincushions. 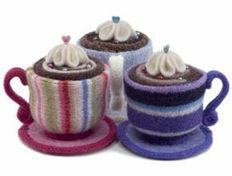 I'm sure you've seen either Betz's teacups or cupcake pincushions at some shop or other around town. This season Martha's staff seems to be diligently searching for all sorts of intriguing indie crafters to demo their products on the show. A tutorial for Betz's pincushions, which are made from felted sweaters, will be on Martha's website for a few weeks. I suggest checking the tutorial out and if you'd rather just purchase a ready made pincushion they're available on Etsy. Betz also has a blog, where you can read about her current craft projects, and a book coming out later in the year. 1. A pair of Frankie B. Cabernet B Mine Jeans. 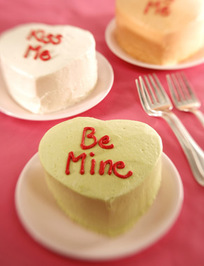 A pair of jeans just for Valentine's Day, how decadent is that? 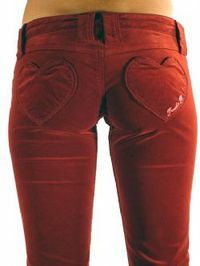 "Dark red faux velvet jeans with heart shaped back patch pockets." They also come in black, but really why bother. It's all about the cabernet. 2. 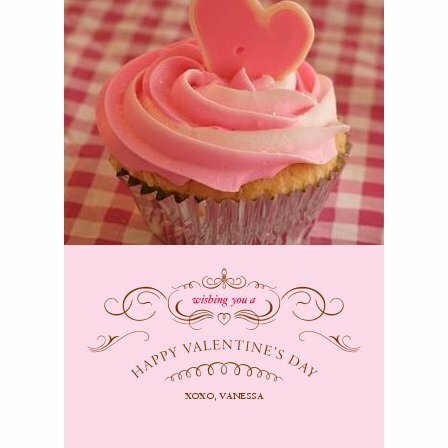 A Mini Heart-Shaped Cake made to resemble a piece of conversation heart candy (which I have been consuming way too many of over the past few weeks). The recipe was provided by Matt Lewis from Baked on a recent episode of The Martha Stewart Show. 3. A Todd Oldham Triple Scoop bouquet. "Three layers of "delicious" looking carnations - hot pink, pistachio and peach. 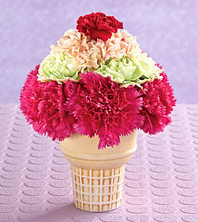 The "cone" is topped off with a red mini carnation "cherry"." According to Carrie Bradshaw carnations have made a comeback. I can't believe this slipped my mind but two days ago (February 9th) marked my 2 year blogiversary. Time flies and all that. I love that despite a change of coasts and time zones my blog has remained a constant in my life over the past two years. And because I'm still excited about posting and eager to read comments I know I'll keep blogging until that enthusiasm wanes. Here's to my 267th post!